Human beings and our environment always stand centre stage in our development work. Our technology has to prove itself constantly under operational conditions, whether on land or under water. Every day weapons and dangerous explosive devices are traced with our detectors. We see our task as making this possible – a task which challenges us and with which we identify. The roots of EBINGER Prüf- und Ortungstechnik GmbH are in the German bomb disposal. The first industrial grade EBINGER detectors were developed already 40 years ago. Their trendsetting technology led to a worldwide distribution. The removal of the remnants of war is a challenge, where EBINGER equipment proof itself on a daily basis. Continued R&D led to new technologies and numerous patents respectively intellectual property rights. Despite the fact that 159 nations have committed themselves to the Ottawa agreement on the eradication of anti personel mines progress in clearance is slow and an end of the clearance still not foreseeable.This is our motivation for a continued improvement of the efficiency and productivity our detection technology. EBINGER has focussed with much emphasis on the development of locators which are not only adequate to adverse working conditions but also for application by indigenous labour in the post conflict theatres of the third world. EBINGER hand held and walk through metal detectors are since years synonymous for reliability and efficiency. They are widely used in airports, seaports, in public events and in penal institutions, at public events and in law enforcement. In completion of this range of security products EBINGER supplies various types of vehicle inspection mirrors. 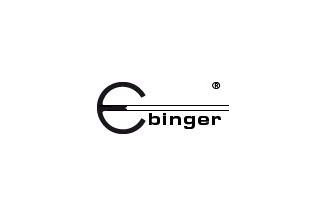 EBINGER equipment is not only found in security applications but also in commercial use and industry. Depending on the tasks active or passive detection principles are applied to meet a wide range of tasks covering civil engineering, location of waste dumps, large underground storage tanks, pipes, manholes or to pinpoint underground markers. EBINGER supplies specific equipment for use in archaeology on land and underwater, medical research, geophysics, soil mechanics and forensic psychology. UWEX® underwater metal detectors are world renowned and every day well proven in the hands of professional and hobby divers. The UWEX® models can operate in fresh- and saltwater due to their pulse induction operation principle. Already in the seventies EBINGER purchased the patent rights on the PI principle from eng. C. Colani and brought this technology to maturity. The continued pursuit of perfection is the reason for the success of the active EBINGER detection technology.